Simon Foote Architects has a reputation for working on difficult sites within conservation areas. We were approached by DLP and asked to take over this extremely demanding site on Agard Street, which has been our most challenging site to date. 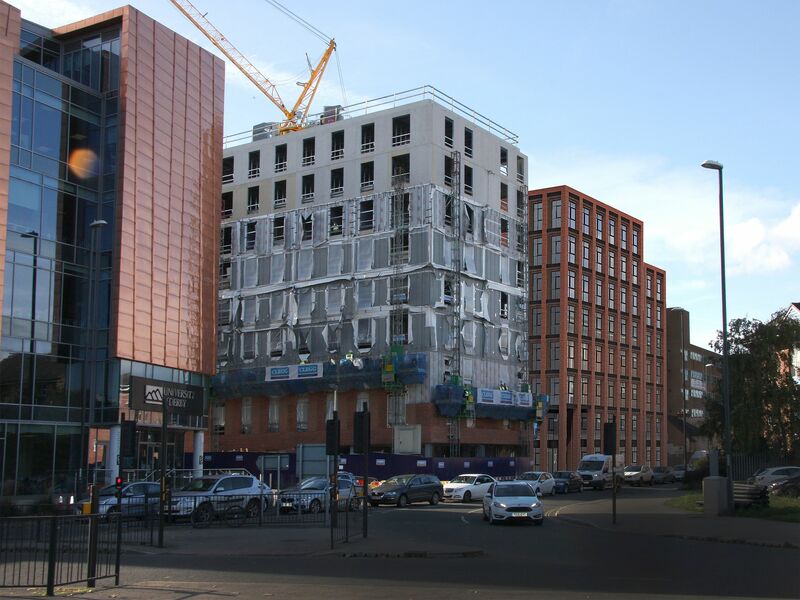 Due to the sites location it comes with a number of obstacles that need to be considered, including being within immediate proximity to the Grade I listed Pickford’s House, the 9 story student accommodation block currently being built on the adjacent site and being situated in a conservation area. The proposed development is an 8 story accommodation block comprising of 77 student apartments. We have reduced the mass through stepping the building in relation to its height, its relationship with Agard Street and also Pickford’s House. Doing this also buffers the neighbouring development and will also encourage future developments along Agard Street.